In this last post on the effects of government on valuations, I want to return to the value destructive effects that corruption, bribery and other "illegal" side-payments to government officials can have on value. In many countries, business people know that to keep doing business, they have to grease palms and provide “gratuities” to the gatekeepers of officialdom. A spate of news stories in the last few weeks should alert us all to the reality that the problem is not only still prevalent but that companies everywhere are exposed to its costs. In a reminder to natural resource companies that the countries where these resources are most abundantly found are often also the ones with the most corrupt government officials, Cobalt International Energy, an energy company backed by Goldman Sachs, saw $900 million of its value wiped out, after revelations that three powerful Angolan officials held concealed interests in the company. India is the second-largest telecom market in the world, with hundreds of millions of subscribers. The regulatory uncertainty that has always bedeviled companies competing in the sector was augmented to by a tainted telecom auction in 2008, which resulted in the resignation and arrests of a cabinet minister. The saga played out in the Indian Supreme Court's recent ruling taking away licenses awarded to eight companies in that auction; the fact that six of these eight companies were foreign suggested a nativist spin to corruption. Put in blunter terms, the ruling seemed to suggest that bribery of Indians by other Indians was par for the course, but bribery by foreign nationals was an abomination. Finally, from the other great growth story in Asia, China, came the story of Bo Xilai, a prominent member of the party elite, and his family: his wife, who is accused of murdering a British businessman, and a son, Bo Guagua, who goes to the Harvard's Kennedy School of Government, drives a Ferrari and has the lifestyle of a top notch capitalist. While the story is filled with the kinds of details that tabloid newspapers love, the real story that the Chinese government wants to keep a lid on is that Bo is not alone among government officials, in accumulating wealth out of proportion to his "income" as a government official. I am not an expert on corruption but here is what I see as the ingredients that allow it to flourish. First, for official gatekeepers to have power, you need gates: the more licenses, permissions or other official approvals you need to operate, the greater the potential for corruption. Second, it is a lot less risky being corrupt if you have political hegemony (whether it be of the dictatorial variety or one party rule), an ineffective legal system (making it impossible to challenge biased official acts) and an apathetic or controlled media (that either cannot or will not view corruption as a good news story). Third, the odds of corruption increase if the system is designed on the premise that corruption is the rule rather than the exception. Thus, setting the salaries of public employees at well below what the market would pay them, given their qualifications, on the assumption that they will augment these salaries with "side payments", will ensure that you will attract the "most corrupt" people into government and a continuation of the system. Rather than debate the basis of corruption and whether culture and history play a role, I want to first focus on “objective” measures of corruption . Transparency International, an organization that tracks corruption globally, releases an annual listing of corruption across the world. Just to provide a summary, the following is a list of the ten least corrupt and the ten most corrupt countries in the world, based on their ranking. Just for information, the United States came in as the 24th least corrupt country out of 182 countries, China was 75th and India was 95th on the list. While I am sure that there are countries where you and I may disagree with the rankings, there are clearly regions of the world where operating a business without "paying off" government officials is close to impossible. Treat bribes as operating expenses: From a valuation perspective, it would be easiest to deal with bribes if they were out in the open and treated as a separate line item in the expenses. So, in your operating expense breakdown, you could have a line item titled "Bribes and payments to corrupt officials" with the expense associated with it. Perhaps, we can then assess firms on the efficiency of their bribery and treat it as a competitive advantage for companies that are exceptionally good at getting results for their money. Unfortunately, even in countries where corruption is endemic, it remains "under the surface" and unreported. Treat corruption as an implicit (and unreported) tax: In the more likely scenario, where corruption exists but is not explicitly reported, it may make sense to consider the expenses associated with it as an implicit tax levied by the government. The fact that this tax revenue goes to the government officials and not to the taxpayers is deplorable, but that makes little difference to the company paying it. While this idea may seem farfetched, PWC did exactly this in an "opacity index" that they computed for dozens of countries and converted into tax rates. In 2001, for instance, they estimated the added cost of operating in China was the equivalent of facing an effective tax rate of 46%. Unfortunately, this listing is almost a decade old and while the opacity index itself has been updated by others, the effective tax rates no longer seem to be computed by country. Increase the cost of capital to cover "government" partners: When corruption occurs at the highest levels, you can argue that as a private business owner, you have "corrupt government officials" as partners who provide no capital but get a share of the income. Consequently, you have to generate a higher return on your capital invested to cover the cash outflows to your implicit partners. You can find interesting attempts to quantify this effect here and here. There are two complicating factors. The first is that the United States (among other countries) has laws on the books that forbid companies from paying bribes not only to US officials but to officials in other countries . As a consequence, the costs of bribery may be far greater than the actual expenditures incurred and include the penalties that these companies will be face, if the bribery is exposed. The second is that the "right connections in high places" in countries with extensive corruption is a significant competitive advantage in itself. Odious though we may find this proposition, the firms that understand how the system works (or who to pay and how much to pay to make it work) will generate excess returns and higher value than their more virtuous counterparts. In my last post, I looked at the negative effects on equity value of the threat of government expropriation (nationalization). In this one, I want to focus on the more benign (and perhaps positive) impact that governments can have the values of some companies, through subsidies in one of many forms: providing or facilitating below-market rate financing, special tax benefits, revenues or price supports and even forcing competitors to provide direct benefits to a subsidized entity. Note that my intent in this post is not to examine the wisdom of these subsidies and whether governments should be tilting the playing field. While I do have strong views on the topic (and you can guess what they are from the subtext), I want to focus on the mechanics of how best to value businesses that benefit from these subsidies. This post was, in part, triggered by the recent news story on First Solar, where the company announced its intent to both scale back its operations and return a $30 million subsidy it had received from the German government. 1. "Low or no cost" financing: The cost of borrowing (debt) for a company should reflect its default risk. In some cases, governments can step in the fray and either provide or facilitate "cheap" or "below market rate" financing, ranging from grants (effectively free financing) to low-interest rate loans (Airbus) to acting as a loan guarantor with banks (Tesla). The net effect is the same: the company is able to borrow more money at lower interest rates than it otherwise would have been able to, which, in turns, lowers its overall cost of financing its operations. You can argue that bailouts are a variant on this subsidy, insofar as it offers a financial lifeline to distressed (usually too-big-to-fail) firms that otherwise would have faced default. 2. Tax holidays, credits and deductions: The tax code has long been a favored device for the government to bestow benefits on chosen sectors or companies. In some cases, this can take the form of a lower tax rate on income (than the tax rate paid by other businesses) or a tax holiday, and in others it can take the form of more generous expensing and depreciation rules. Fossil fuel companies in the US, for instance, have been allowed to expense a portion of exploration costs, granted tax credits amounting to 15% of investment costs related to enhanced oil recovery and gas pipelines can be depreciated over 15 years instead of 20 years. These benefits translate into higher after-tax cash flows (from paying less in taxes) or timing benefits on tax savings (with expensing and depreciation breaks). A side note: One oft-used proxy of which businesses get subsidized the most is the difference between the effective tax rate paid by these businesses and the marginal tax rate. I report the average effective tax rates on my website, by sector. However, I think that the dominant factor driving effective tax rates now is not tax subsidization but foreign sales. The more revenues a company (or sector) generates from overseas (where corporate tax rates are lower), the lower the effective tax rate will be. 3. Revenue or price support (Higher and more predictable revenues): In some cases, governments step in to both stabilize and increase revenues of businesses by providing price support to companies. For instance, the US government, among others, has provided price supports for some agricultural products, such as sugar. In other cases, governments benefit firms by handicapping foreign competition and imposing tariffs on imported goods. Sometimes, government can indirectly support revenues by providing the subsidies to the customers of preferred companies; an example would be credits offered to homeowners for using solar panels on their houses. 4. Indirect subsidies: Rather than provide benefits directly to a company, the government can also force competitors to sustain the company by either paying a cash subsidy to the company or by buying its products at an arranged price. The Zero Emissions Vehicle Program, a California state mandate requiring that auto manufacturers failing to produce a certain number of zero emission vehicles buy credits from those who did, resulted in Tesla receiving millions of dollars in payments from other auto companies. There are two ways of dealing with subsidies. One is to build them into your discounted cash flow valuation inputs and let them flow into your estimated value. The other is to ignore subsidies in a DCF valuation and to value subsidies separately and add them on. a. "Low cost" financing: Enter the subsidized cost of debt and/or the subsidized debt ratio into the cost of capital, which will yield a lower cost of capital and higher value. Thus, if a firm like Tesla that normally would not have been able to borrow money, since it is a risky, money losing company. and would have been all equity financed (say with a cost of equity of 11%) may be able to borrow a portion of its capital at a "low" interest rate (because of implicit or explicit government subsidization) and end up with a cost of capital of 10.8%. b. Tax holidays, credits and deductions: Subsidies that take the form of a tax holiday or special tax rate will lower the effective tax rate and increase after-tax cash flows. To the extent that the tax subsidized operations can be kept separate from non subsidized business, the company may be able to still get the full tax benefits of borrowing. More generous expensing and depreciation rules don't increase the nominal tax benefits across time but the value of the tax benefits will increase because they occur earlier in time. c. Revenue or price supports: These subsidies can show up in two places. First, the price support increases revenue to producers who can sell at the support price, which is higher than the market price. Second, to the extent that these subsidies make revenues more stable, they may reduce the operating risk in the business and increase value. d. Indirect subsidies: The transfer payments from competitors will boost revenues and cash flows and increase the value of the subsidy-receiving company. The advantage of this approach is that the subsidies then get baked into the valuation, with no need for post-valuation garnishing or augmentation. The disadvantage of this approach is that it is easy to forget that subsidies don't last forever and that the firm will eventually lose them, either because governments cannot afford them anymore or because the company loses its preferred status. If you do decide to go this route, keep in mind at least two issues. If you build subsidies into your DCF valuation, think through how long these subsidies will last. For instance, the "low cost" financing subsidy may cease to be one, if your company becomes a larger, more profitable entity. In addition, check to see what the value of the company would be, with no subsidies. In other words, break the company's value down into its operating value and its subsidy value. Step 1: I valued Tesla Motors, with the subsidized financing. The company's borrowing gives it a debt ratio of about 10%, which with its subsidized interest rate, results in a cost of capital of about 10.8%. The valuation, where I do assume that Tesla's revenues will climb to about $ 5 billion in 10 years and that the pre-tax operating margin will converge on 12% (much higher than the average margin of 7% across automobile companies in 2011), yields a value per share of $10.40/share. Step 2: I valued Tesla Motors without the subsidized financing, by assuming that the firm would have to raise the debt at a market interest rate of 9% (instead of the 3% subsidized rate). The resulting value per share is $9.60. Step 3: The interest rate subsidy can be valued at $0.80/share, the difference between the valuation with the subsidy and the valuation without. This is the narrowest measure of the subsidy. If we expand the subsidization to include tax credits for future investments (reducing reinvestment needs for the future) and perhaps less risk (if the government supports revenues or requires competitors to pay Tesla), the value per share would increase (and so would the subsidy value). In this final valuation, I expand the Tesla valuation to include broader subsidies and generate a value per share of $18.17/share. In this approach, the discounted cash flow valuation is done with inputs that the firm would have had in a non-subsidized world, and the value of the subsidy is assessed separately. Thus, in the case of Tesla, you would value the company using the 12% cost of equity (or capital) that the firm would have had in a non-subsidized world, and then value the effect of the low cost financing separately. Thus, if Tesla is able to borrow money at a lower rate, as a result of the government support or backing, the savings each year from the subsidy amount to the difference between the market and the subsidized interest rates. Taking the present value of these savings over time should generate a value for the subsidy, which can then be added on to the value obtained using the non-subsidized cost of capital. a. The analyst can value the subsidy for only the period that he or she thinks it will be offered and discount it at an appropriate rate. Thus, if Tesla has $250 million in debt at a 3% subsidized rate, when it should have been paying 9%, it is saving $15 million a year because of the subsidy (9% of 250 - 3% of 250). Assuming that the subsidy is likely to continue for only 10 years and that the only risk of not getting it is if Tesla defaults, the present value of $15 million a year for 10 years, discounted back at the unsubsidized cost of debt of 9%, yields a value today of $96.26 million. b. If the subsidy from the government requires the company to offer something in return (build a manufacturing plant with higher cost labor), separating the effects of the subsidy from the valuation allows you to assess the costs and benefits of taking the subsidy. If the net benefit is negative, the company may be better off rejecting or returning the subsidy to the government. A company that gets significant subsidies from the government will have a higher value, in most cases, than one that does not. In some sectors, say green energy, the subsidies can account for a significant portion of the overall value of the firm (and its equity). As an investor, I have always been uncomfortable investing in these companies at prices that require the continuation of subsidies to justify the investments. Governments, especially in these times of budget constraints and sovereign defaults, are both fickle in their choice of favorites and unreliable subsidizers. Thus, if I can buy Tesla at a price that is less than its unsubsidized value, I will do so, and view the subsidies as icing on my investment cake. If, on the other hand, making money on Tesla requires me to count on the government's continuing indulgence, you can count me out. In this case, I am spared the choice, since Tesla at the prevailing stock price of $ 30 looks overvalued, even relative to the most generous subsidized value. I have been writing about valuation for a long time and for much of that time period, I chose to ignore the effects, positive or negative, that governments can have on the value of businesses. Implicitly, I was assuming that governments could affect the value of a business only through the tax code and perhaps through regulatory rule changes (if you were a regulated firm), but that a firm's value ultimately rested on its capacity to find a market for its products and generate profits from these products. The last five years have been a wake-up call to me that governments can and often do affect value in significant ways and that these effects are not restricted to emerging markets. The news story that brought this thought back to the forefront was from Argentina, where Cristina Fernandez, the president, announced that the Argentine government planned to nationalize YPF. The ripple effects were felt across the ocean in Spain, where Repsol, the majority owner of YPF, now stands to lose several billion dollars as a consequence. Not surpringly, the stock price of YPF, already down about 50% this year, plunged another 21% in New York trading. If you own YPF stock, my sympathies to you, but it is too late to reverse that mistake. However, there are general lessons that we can take away from this sorry episode about how best to incorporate the possibility of government capriciousness into what you pay for shares in a company. There are three components to intrinsic value: cash flows (reflecting the profitability of your business), growth (incorporating both the benefits of growth and the costs of delivering that growth) and risk. If you have to value a company in a country where nationalization risk is a clear and present danger, the obvious input that you may think of changing is the risk measure. After all, as investors, you face more risk to your investments in countries with capricious heads of state or governments, than in countries with governments that respect ownership rights (and have legal systems that back it up). Option 1- Use a "higher required return or discount rate": If you are using a discounted cash flow valuation, you could try to use a higher discount rate for companies that operate in Argentina, Venezuela or Russia, for instance, to reflect the higher risk that your ownership stake may be taken away from you for less-than-fair compensation. The problem that you will face is that discount rates are blunt instruments and that the risk and return models are more attuned to capturing the risk that your earnings or cash flow estimates will be volatile than to reflecting discrete risk, i.e., risks like survival risk or nationalization risk that "truncate or end" your investment. Option 2: Reduce your "expected cash flows for risk of nationalization: You can reduce the expected cash flows that you will get from a company incorporated in a "nationalization-prone" market to reflect the risk that those cash flows will be expropriated. While this may be straight forward for the near term cash flows (say the first year or two), they will be much more difficult to do for the cash flows beyond that time period. Step 1: Value the company using conventional discounted cash flow models, with no increment in the discount rate or haircutting of the cash flows. The value that you get from the model will be your "going concern" value. Subtracting out the debt (291 million) and adding cash (68 million) yields a value for the equity of 212 million VEB. At its traded equity value of 211 million VEB, the stock looks fairly priced. If you download the valuation, you can see that I have incorporated the high operating risk (separate from nationalization risk) in Venezuela with a higher equity risk premium (12%) and the higher inflation/interest rates in Venezuela with a higher risk free rate of 20%. In particular, play with the nationalization probabilities and the consequences of nationalization to see how it plays out in your value per share. Note, though, that my 20% estimate of the probability of nationalization is a complete guess, in this case. If I were interested in investing in Venezuelan (Russian, Argentine) companies, I would spend more of my time assessing Hugo Chavez's (Vlad Putin's, Cristina Fernandez's) proclivities and persuasions than on generating cash flow estimates for companies. Since my skill set does not lie in psychoanalysis, I am going to steer away from companies in these countries. 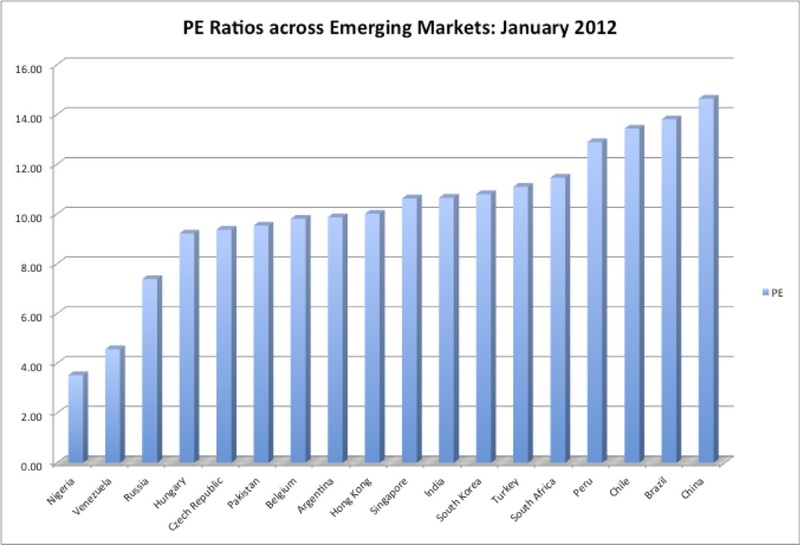 How would you bring in the concerns about nationalization, if you value companies based upon multiples? One is to use multiples extracted from the country in question, on the assumption that the market would have incorporated (correctly) the risk and cost of nationalization into these multiples. To an extent, this is reasonable and it is true that companies in countries with high nationalization risk trade at lower multiples. Note that while Russian and Venezuelan companies trade at a discount to their emerging market peers (and my guess is that Argentine companies will join them soon), you have no way of knowing whether the discount is a fair one. The problem, though, becomes more acute when you are not able to find enough companies in the sector within that country to make your valuation judgment. With Dominguez & Cia, for instance, you have the only publicly traded packaging company operating in Venezuela. If you decide to go out of the market, say look at US packaging companies in 2011, the average EV/Operating income multiple is about 10.51 in January 2012. Applying this multiple to Dominguez's operating income would generate a value of 1230 million VEB, well above the market value of 211 million VEB. However, you have not incorporated the higher operating risk in Venezuela (separate from the nationalization risk) and the risk of nationalization. The bottom line with multiples is simple. If you do not control for nationalization risk, companies in countries which are exposed to this risk will often look absurdly cheap on a PE ratio or an EV/EBITDA basis. But looking cheap does not necessarily equate to being cheap.. While it is too late to incorporate the risk of nationalization in the value of YPF, you can adjust the estimated values of other Argentine companies. While the government of Argentina may argue that YPF was unique and that they would not extend the nationalization model to other companies, I would operate under the presumption of "fool me once, shame on you... fool me twice, shame on me" and incorporate a higher probability of bankruptcy into the valuation of every Argentine company. The net effect would be a drop in equity values across the board: that is the consequence of government action. There are other repercussions as well. A government that is cavalier about private ownership is likely to be just as cavalier about its financial obligations: no surprise then at the news that the default spreads for Argentina have surged after the YPF news. While this post is about the "negative" effects of government intervention, it is possible that the potential for government intervention can push up the value of equity in other companies. In particular, the possibility that governments may "bail out" companies that are "too large or important to fail" may increase the value of equities in those companies as will the potential for government subsidies to "worthy" companies. I will come back to these questions in subsequent posts. Returning again to the Argentina story, Ms. Fernandez was quoted as saying, "I am a head of state, and not a hoodlum". Someone should remind her that the two are not mutual exclusive, and the problem may be that she is both. I have talked about Google in prior posts on its voting share structure and the increasing cost it is paying for maintaining growth. Well, the company had a big news day yesterday, starting with an impressive earnings report (earnings growth of 60% & revenue growth of 24%) and ending with an announcement that they would be splitting their stock, with a twist. I will focus on the stock split but use it to also make a couple of points about corporate control and earnings growth. Stock splits and stock dividends are empty gestures from an intrinsic value standpoint because they change none of the fundamentals of a company. The value of a business rests on its capacity to generate high returns (and cash flows) from existing investments, its potential for value creating growth and the risk in its operations. Splitting your stock (or its milder version, stock dividends) change the number of units in the company without affecting value. Thus, in a two for one stock split, you, as a stockholder, will end up with twice the number of shares, each trading at half the intrinsic value per share that they used to. There are two areas where stock splits or dividends can affect prices, either positively or negatively. a. Price level effects: By altering the price level, a stock split can affect trading dynamics and costs, and alter your stockholder composition. The “splits are good” argument goes as follows: when a stock trades at a high price (say $800/share), small investors cannot trade the stock easily and your investor base becomes increasingly institutional. By splitting the stock (say ten for one), you reduce the price per share to $80/share and allow more individuals to buy the stock, thus expanding your stockholder base and perhaps increasing trading volume & liquidity. The “splits are bad” argument is based upon transactions costs, with the bid-ask spread incorporated in these costs. At lower stock price levels, the total transactions costs may increase as a percent of the price. The effect has been examined extensively and there is some evidence, albeit contested, that the net effect of splits on liquidity is small but positive. The Google split: Since the split is a two for one split at a $650 stock price, there is not much ammunition for either side of the price level argument. At $325/share, Google will remain too expensive for some retail investors and the transactions costs and trading volume are unlikely to change much. As one of the largest market cap companies in the market, I don't think liquidity is the biggest problem facing Google stockholders. b. Perceptions: A stock split may change investor perceptions about future growth potential in both good and bad ways. The “splits are good” school argues that only companies that feel confident about future earnings growth will split their shares, and that stock splits are therefore good news. The “splits are bad” school counters that splits are empty gestures (and costless to imitate) and that companies resort to these distractions only because they have run out of tangible ways of showing growth or value added. "We have protected Google from outside pressures and the temptation to sacrifice future opportunities to meet short-term demands." Talk about chutzpah! What outside pressure? And to do what? And what temptation is Page alluding to? Brin and Page think that you (as stockholders) are too immature to know what’s good for you in the long term, and they want to make these decisions for you. I think it is absurd to make the argument that Google would somehow have been stymied in its long term decision making, if it did not have the shareholder structure that it has now. I will wager that there is not a single decision that Google has made over the last decade that they would not have been able to make with a more democratic share voting structure (one share, one vote). The difference is that they would have had to explain these decisions more fully, which is a healthy thing for any management in a publicly traded company to do. In fact, what the stock split signals (to me) is that Google is planning more controversial (and debatable) big decisions in the future and they do not want to either explain these decisions or put them up for a fair vote. a. Sit it out: If as a stockholder, you are becoming part owner (and partner to the current owners) of a business, I would not blame you, for refusing to buy stock in Google-like companies, because you are not being treated as a full partner. Consequently, you could decide to avoid being investors in any company that has a dual-class structure for voting. The problem, of course, is that you might end up with no investments in an entire sector (social media and young technology) that is the fastest growing segment of the market. b. Price it in: The logical response to the loss of control is to price it in, effectively discounting the price you pay for low-vote or no-vote shares, relative to full-vote shares. Conceptually, it is not difficult to do and I have a paper on how you can go about estimating the discount on non-voting shares: you have to build in the expectation and likelihood that managers will misbehave in the future, and that you will not be able to stop them. In practice, though, investors often value low-vote shares based upon recent management performance/behavior, paying too high a price when managers are behaving and performing well and pushing down the price too low, after managers disappoint them. Now that I have read some of the reactions to my post on "folding" on Apple, I would like to respond to at least three issues that were raised in these responses. The first was that my sale of Apple seemed to be grounded more in emotional than in fundamental reasons. The second and related point was that the sale of the stock at a price that was below my own estimate of intrinsic value was not consistent with intrinsic value investing. The third was a more general question of whether or when I would return to the fold of Apple stockholders. To those who have charged me with being "emotional" on this trade, rather than "rational", I plead guilty, but I do think that I made clear in both my posts on Apple that I was incapable of being rational in my decisions on the stock. In fact, I will go further and argue that if the sale of Apple was partly driven by emotional factors, the original investment in Apple was also not entirely a "rational" one. It is difficult for those who have grown up with Apple as the dominant player in the smart phone and tablet market to visualize Apple as it was in early 1997: a company that seemed to have run out of ideas, with new products that no one wanted to buy, facing a dominant player (Microsoft) that was threatening to eat them as a snack. I would love to tell you that I did an intrinsic valuation of Apple in 1997, saw the miraculous recovery in my crystal ball, and bought the stock but I did not. The truth is that I bought Apple for three reasons and the first two could only be classified as emotional. The first was the "pity" factor. I bought Apple stock because I felt sorry for the company and was perfectly willing to write off my investment in the stock as my charitable contribution for the year, if it did not make it. Having enjoyed its products for its lifetime, I felt I owed the company that much. The second was the "protest vote" factor. I bought Apple in 1997 for the same reason that some Russians voted against Vlad Putin a few weeks ago in the Russian presidential election. While I saw little chance (then) that Apple would beat Microsoft, I wanted to go on record my opposition to what I saw as the Evil Empire. One puzzling aspect of my "sell decision" on Apple was the intrinsic valuation of the stock; at my estimate of $710/share, the stock continues to be under valued. Some of you took me to task for ignoring my intrinsic value and selling a stock at a price below that number, just because I am uncomfortable with the changing stockholder composition. I think your criticism is merited but you and I may disagree on the essence of intrinsic value. While we probably are in agreement that the intrinsic value of a firm is determined by its business acumen and operating decisions, I also believe that attracting the wrong type of stockholders to your company can reduce your intrinsic value. To back up my claim, let me start with two facts. 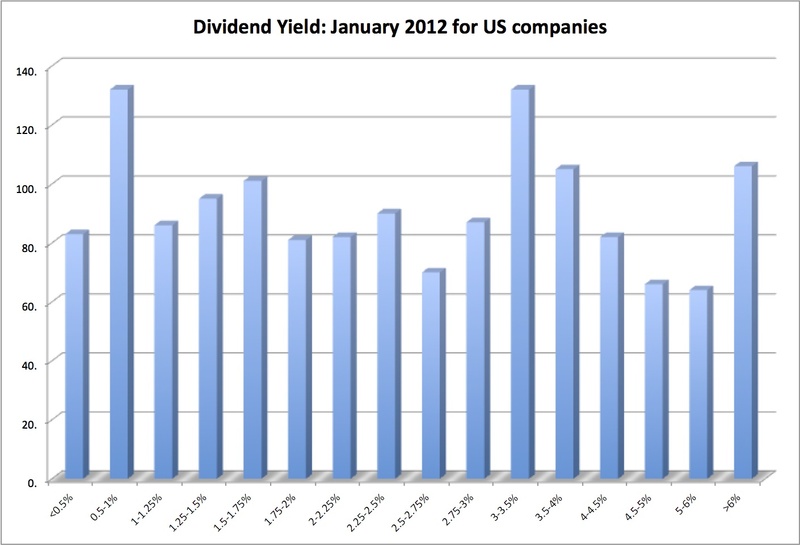 (a) Companies vary widely on dividend policy. (b) Investors pick stocks based on dividend policy: Investors form dividend clienteles and buy stock in firms that have the "right" dividend policy. Thus, companies that pay no dividends tend to attract investors who care little about dividends, but have a much higher attraction for growth and price appreciation. 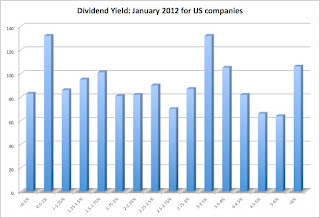 Companies that pay high dividends attract dividend seeking investors who like price appreciation, but view dividends as the central to equity investing. There is a link between where companies are in the life cycle and what they pay out in dividends, with young, growth companies that face uncertain earnings and high reinvestment needs paying no dividends and mature companies that can count on earnings paying much higher dividends. If the investor make up (in terms of dividend preference) matches the company make up (in terms of where it views itself as being in the life cycle), you have stability, where firms with different dividend policies can co-exist, with little or no punishment being meted out for paying too much or too little in dividends. Each company has its own dividend clientele and tailors its investment, financing and dividend policies to keep the clientele happy. A company/clientele mismatch: You can get mismatches at both ends of the spectrum. A young, growth company that is held by "dividend seeking" stockholders will face unrealistic demands to pay dividends, even as it runs a cash flow deficit. At the other extreme, a mature company that is held by "growth seeking" stockholders will find itself under pressure to grow, when it has few growth opportunities. A transitional company: Growth companies do transition to become mature companies and during that transition, the composition of their stockholders has to change as well. (In rare instances, you can have mature companies transition back to being growth companies...) In some cases, this change in stockholder composition happens gradually and relatively painlessly over time. In other cases, it can be tumultuous, but as the evidence of the transition mounts in the numbers (as declining growth rates, higher cash build up, more stable earnings), the "growth" seekers move on and leave the field to the "dividend" seekers. A mixed clientele: It is also possible that neither the company nor its stockholders is clear about whether the company is transitioning from one phase of the life cycle to another. In many ways, this is the most dangerous of the scenarios. It is made worse, if the evidence that comes out is contradictory (higher growth and more cash build up, at the same time) because each group sees in the evidence what it wants to see, forecasts out what it would like to see and pays a price based upon its view of the future. Eventually, a day of reckoning will arrive but neither group will give up without a fight. So, where is the link to intrinsic value? There may be none, if management is secure, resilient and makes the right calls for the company. The problem, though, is if management gets stampeded or panicked by a mismatched stockholder group into acting in ways that hurt the company's value. The managers of a mature company that is held by growth investors may seek to buy that growth at any price (by doing acquisitions or taking value destroying investments), thus lowering its intrinsic value. A company with a mixed clientele may try to keep all groups happy and reap the whirlwind. Remember Lucent, the company that AT&T created to house the research powerhouse that was Bell Labs, and then saddled with old Ma Bell stockholders who wanted Lucent to pay large dividends (a payout policy that was at war with its status as a technology company that was seeking growth). Lucent paid the dividends (to keep its dividend seeking stockholders happy), took its risky, growth investments (because it wanted to be a growth company) and paid for them with borrowed money, a toxic mix that ultimately devastated the company. So, what does this have to do with Apple? Apple's dividend announcement could represent one of three possibilities. The first and most benign one is that Apple's managers see less growth ahead and that they are readying the company for a transition to mature company status. That will undoubtedly be a harsh surprise to those growth stockholders in Apple who continue to see another decade of innovation and profitability like the last one, but they will move on. The second and more disquieting possibility is that Apple is unsure about whether it is a growth or a maturing company right now and wants to attract both groups of stockholders. To keep both groups happy, Apple will have to go through contortions, lurching from growth-oriented actions (announce a new product) to cashflow-oriented ones (increasing dividends). The third and most damaging possibility is that Apple instituted dividends because it felt pressure to do so, from some analysts and institutional investors, and not because of its view of the future. Think about it. If it bends so easily to pressure when things are going well, how will it react to the ratcheting up of demands that will inevitably come, if things start to go badly? A battle between growth and dividend players in Apple would have had no effect on Apple three years ago, because Steve Jobs was immune from stockholder pressures (and that was both his strength and weakness). I don't see Tim Cook occupying the same position of strength. Thus, my concern is not that Apple will not react enough to investor demands but that it will become too reactive: acquiring companies it should not be (in response to the growth seekers demands), splitting its stock or increasing dividends (to keep the dividend seekers happy). It is possible (and maybe even likely) that I have over estimated the tensions between Apple's different stockholder groups and under estimated the resilience of Tim Cook and the current management team at Apple. The next few months will provide evidence on both fronts, as will Apple's reaction to its first big setback (which will come). I will keep revisiting my intrinsic valuation, checking the price and looking at how Apple's management handles the pressure. I have a feeling that I will be a stockholder in Apple again one day, perhaps sooner rather than later. For the moment, though, I am in the strange position of not having any shares in Apple and being a recent addition to the Microsoft stockholder base. I feel like I have lost my Jedi credentials and joined Darth Vader and Stormtroopers of the Empire!!! Apple: Know when to hold 'em, know when to fold 'em.. In my last post on Apple, I made two confessions. The first was that I have loved the company’s products for almost three decades and am thus incapable of being unbiased in assessing value or marking judgments on its quality as a business. The other was that I am an Apple stockholder of long standing. At least one of these statements is no longer true, since I did sell my holdings of Apple in the last week. Since the issue of whether Apple is going to $1000/share or to $ 200/share still seems to actively debated, I wanted to explain why I chose to fold, rather than hold. I don’t consider Apple to be over valued: I did not sell Apple because I consider it an overvalued stock. In fact, the discounted cash flow valuation that I had my last post, where I valued Apple at $710/share still holds. The only difference is that Apple, which was under valued by about 23% when I looked at it a few weeks ago (at $545/share) looks a little less under valued today (about 13% at $620/share). I don't buy the signaling stories: In the weeks since my post, Apple did decide to return a modest portion of their mammoth cash balance to stockholders, partly in a stock buyback of $10 billion and partly in the form of a regular dividend of about $10/share (which works out to a dividend of about $ 10 billion at least for this year). There are some long time Apple watchers who have viewed these actions as signals that the company no longer has the investment opportunities that it did and thus as a negative. I don’t buy this signaling story. The rate at which cash has been accumulating in Apple is evidence aplenty that they don’t have enough investment opportunities to invest this cash in. Thus, their decision to return some of that cash reinforces what is already obvious. Apple has become a momentum play: Much as I would like to believe that everyone who has been jumping on the Apple bandwagon in the last year is investing for the right reason, i.e.. because they see good value in the stock, Apple has become the ultimate momentum play. In effect, the biggest reason Apple’s stock price is going up now is because it has gone up in the recent past, not because of any news stories or information coming about about the company. Don’t get me wrong. Momentum is a powerful force in markets and I had a post on the power of momentum investing strategies. As an intrinsic value investor, though, it is not only not my cup of tea but it also delinks price from intrinsic value; put differently, I don't have a competitive edge in the momentum game. Institutional favorite: Apple is now an institutional favorite, taking center place in almost every large institutional investor’s portfolio. Note that this is related to the first point, since institutional investors are creatures of momentum, buying stocks that have gone up and dumping stocks that have dropped. So, what is my problem with this? First, institutional investors are a fickle crowd, who can quickly turn on stocks that they love.... Second, as a contrarian, my instinct tells me that if institutional investors collectively think that a stock is good, it is time for me to reassess. Mixed Dividend Clientele: Apple was a momentum stock and an institutional favorite the last time I posted as well. For me, the tipping point was Apple’s decision to institute a dividend. Can they afford it? Of course, but I think it was a tactical error at two levels. First, it represents a break from its recent and mostly successful past. For the last 15 years, Apple has been held by stockholders who were comfortable with its policy of no dividends and high quality growth, and were willing to claim their rewards in price appreciation. By paying a dividend, Apple has opened it doors to a “dividend seeking” clientele, who not only want to see dividends paid out but want to see growth in these dividends. In fact, many of the investors who are new to Apple stock in the last few months are from this group. The clash between what the “old price appreciation” stockholders in Apple think is best and what the “new dividend” stockholders is not significant at the moment, but it will rise to the surface when things don’t go well. We are a bad earnings report or a botched new product away from a full fledged battle between these groups, with Apple's managers in the middle. Second, in my earlier post, I noted that it would be in Apple’s best interests to put this cash issue behind them decisively by announcing a shockingly large buyback and getting back to business. In many ways, what Apple has done (in announcing a small stock buyback and a dividend) will ensure that the cash question will be a major distraction for the long term. Put in blunt terms, I am selling my Apple stock because I am worried about my fellow travelers in the stock. It is not that I have a problem with any of these groups individually, since I invest in other stocks where I co-exist with momentum investors, institutional investors, growth seeking investors or dividend seeking investors. In Apple, though, they are all in the mix, with different and contradictory views about what makes the company a good investment and what it should do, as a company, going forward. Each group is expecting its best case outcome: continuing price increases for the momentum group and institutional investors, high growth and a stream of new products for the price appreciation crowd and growing dividends for the dividend seekers. Perhaps, Apple can be all things to all these investors, but that is asking for a lot, and perhaps the impossible. I bought my Apple shares in April 1997 and I have the price appreciation (and a potential tax bill) to show for it. It has been a wonderful ride, but as the old country song would put it, I have to know "when to hold 'em, know when to fold 'em”, and my gut (strange thing for an intrinsic value guy to admit to..) tells me that it is time for me to move on. Could I regret this decision? I hope I do. Nothing would make me happier than see the stock goes to new heights and have Apple become the first trillion-dollar market cap company. I love the company and its products far more than I care about any bruising my ego and pocketbook may take.